Are you in the market for a new dive computer? No matter if you are looking to replace your old dive computer or are looking for your first one you want the best dive computer there is. Dive computers are often times referred to as a diver’s best friend as they allow you to spend more time enjoying your dives and less times making dive calculations. Shearwater Research Petrel 2 SA Dive Computer. Oceanic Geo 2.0 Air/Nitrox Computer Watch. Mares Puck Pro Wrist Computer. 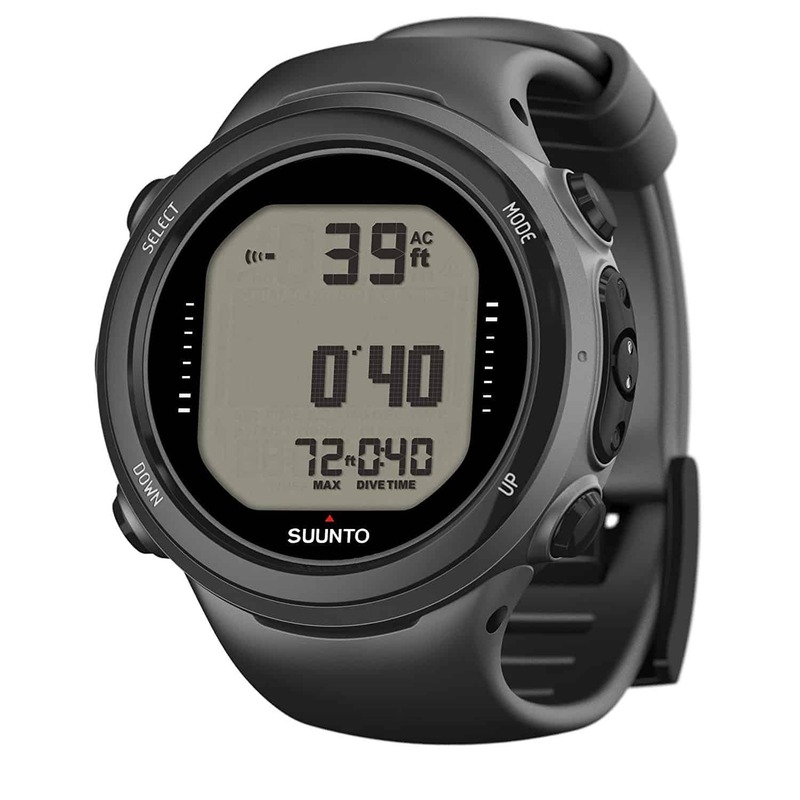 Suunto D4i Novo Dive Computer. Can be worn as a watch. Choosing the best dive computer. The key is finding the best dive computer with how many choices there are. Like many technology driven products selecting the best dive computer is not as easy as we would like, after all it’s a pretty complex piece of equipment. For those of you who have already spent time reading through the specs of various dive computers, you know just how complicated they are. With how important dive computers are to scuba diving how do you know you are picking the best one? Here are a few important factors to consider when selecting the best dive computer for you. The first thing you need to ask yourself when looking for the best dive computer is what is your current diving level, basically how much diving experience do you have. If you don’t answer yourself honestly it is very easy to end up with a diving computer that it too advanced for your current needs. If you are a beginning diver the best dive computer is going to something simple and easy to use. Big displays are a good thing to have on a beginner’s dive computer because much of your time is going to be spent getting comfortable breathing and swimming underwater. The less you have to fiddle and worry about the better. Even as you gain experience you will never outgrow the basic dive computer, as it will always make a great backup. If you are a tech diver or an advanced recreational diver the best dive computer for you is going to be quite different because your diving needs are a lot different. One thing to look for is Nitrox capabilities, you might not use it on every dive but you will end up needing it at some point. As a more experienced diver you are going to need and want more advanced features, including things like trimix, free dive modes, etc. As an advanced diver you need to look for dive computers that offer features most important to you. As you are going to have to read the dive computer underwater, you want to make sure that the display can be read underwater. So without taking it for a test drive, how can you tell if the dive computer is able to be read underwater? You want to look for a display that is generally easy to read. The display will have high contrast colors with a backlit display and big numbers. 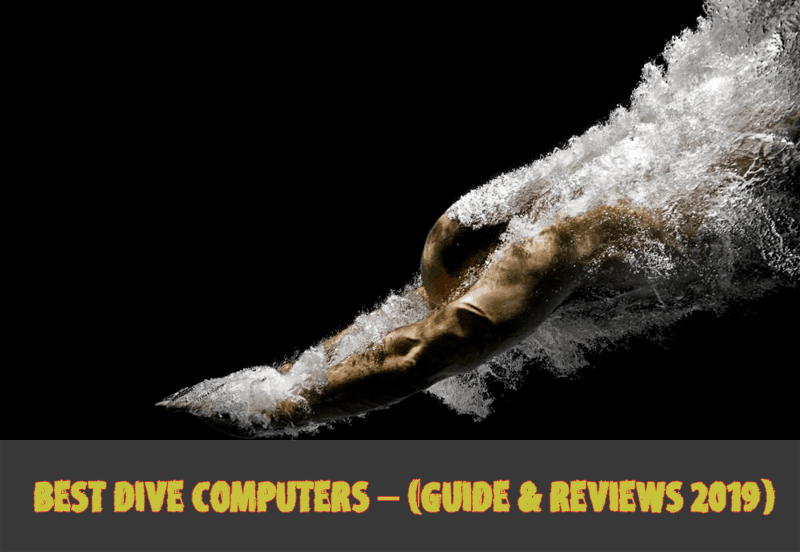 As with all computers, some dive computers are easier to use than others. The less time you have to figure out how to use the thing the more time you can spend using it on dives. One way to determine how easy the dive computer is to use is to read about other people’s experiences with it. If majority of people are saying it’s hard to configure or switch modes you might want to reconsider the purchase. You also need to think about where you plan to use the dive computer. If you are going to be in cold water a lot that means thick gloves, so you need a dive computer with big buttons. The bigger the buttons the easier it will be to use with thick gloves on. Dive computers come in two different set ups or style. You have the wrist or console. The wrist computer provides you with all of the data right there on your arm. Wrist computers are easy to read and offered a more streamlined option. With the wrist style you can get the classic dive computer or one that looks like a wrist watch. A console computer is ideal for divers who prefer to keep all of their dive instruments in one central location. This feature is a newer one and should not be the main factor in determining the best dive computer for you. Wireless air integration is nice as it provides you with a transmitter to monitor how much air you have left in your tanks, but like all technology it isn’t perfect. The signal between your dive computer and the transmitter can be lost while diving. Dive computers can be expensive and the more features they have the higher the price tag. Determine how much money you can afford to spend on a dive computer beforehand. If you are new to diving and have a relatively small budget you can easily find entry level dive computers with the most basic features. If price isn’t a concern look into the dive computers that offer some of the more advanced features, such as a digital compass, multi-gas capability, etc. There are lots of dive computers could possibly choose from but we have done an expansive research to reduce the stress of choosing the best one available. We will be mentioning some of them in subsequent paragraphs. If you are an advanced recreational diver or even a tech diver the Shearwater Research Petrel 2 SA Dive Computer is an excellent choice for you. One of the best things with the Petrel is that it is around 40% smaller than the previous model, the Predator. Even better is that this smaller size didn’t touch the large 2.4 inch high resolution, full color display. The display has actually been enhanced thanks to the new processing power used with the Petrel. The Shearwater Research Petrel is powered by a single AA battery. The best part is the user can choose any AA size battery, including rechargeable, to use with the dive computer. Just to be aware dive time can be affected based on the choice of battery. The Petrel 2 SA Dive Computer can be used with air, nitrox, and trimix. The dive computer offers Bluetooth integration for communication with PC, Mac, iPad, and iPod. Other features of the Petrel dive computer include 3 axis; tilt compensated digital compass, dive planning, and decompression. If you are a beginning diver and are in the market for an excellent dive computer, check out the Cressi Leonardo Dive Computer. Aside from its very affordable price, one of the best features of this dive computer is it’s easy to read display. The Cressi Leonardo offers a large numerical display with a back light feature. The back light feature allows for easy reading even in low light conditions. The Leonardo is powered by a CR2430 battery that can be replaced by users as needed. With the Cressi Leonardo Dive Computer users will be pleased with its single button interface. The single button interface makes this dive computer easy to program and easy to use. The dive computer offers three different modes air, nitrox, and gauge mode. The Cressi Leonardo offers a visible battery life indicator and an audible alarm to provide users with critical information throughout the dive. 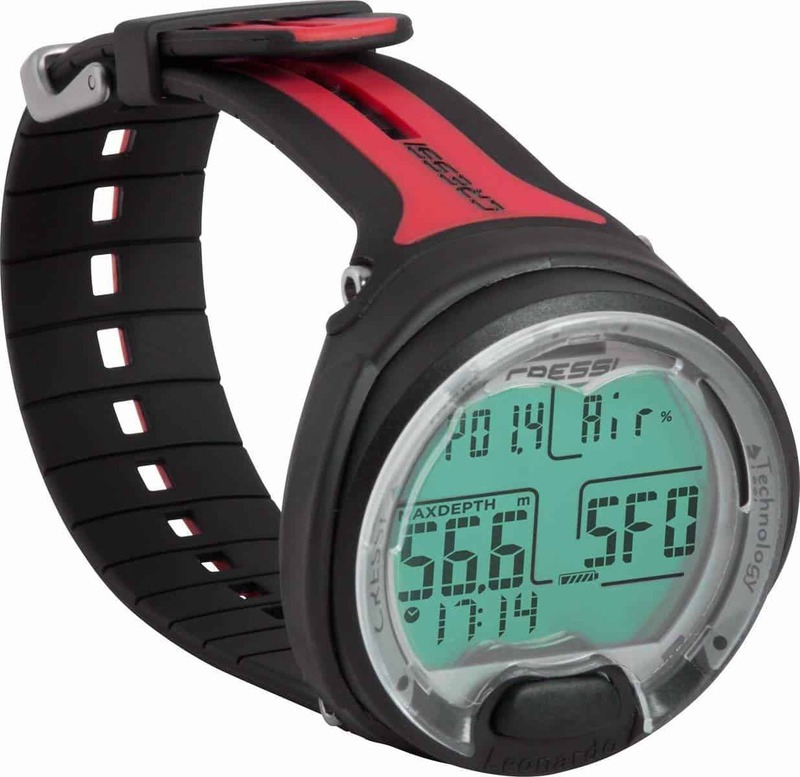 Information displayed via the Cressi Leonardo includes depth, dive times, ascent rate, surface interval times, and decompression status. The dive computer offers the choice of an imperial system or a metric system and can be fully reset after each use. Can be reset after each use. Instructions are on the vague side. If you are a recreational diver with plenty of experience, but are in the market for an affordable dive computer look no further than the Oceanic Geo 2.0 Air/Nitrox Computer Watch. The 2.0 version of this dive computer offers an upgraded look with its stainless steel accent ring and its new color combination. The upgraded dive computer also features a Firmware Auto-Update that allows users to download and install any important updates through its PC interface. Users have the ability to replace the battery as needed as the dive computer is powered by a replaceable CR2430 battery. 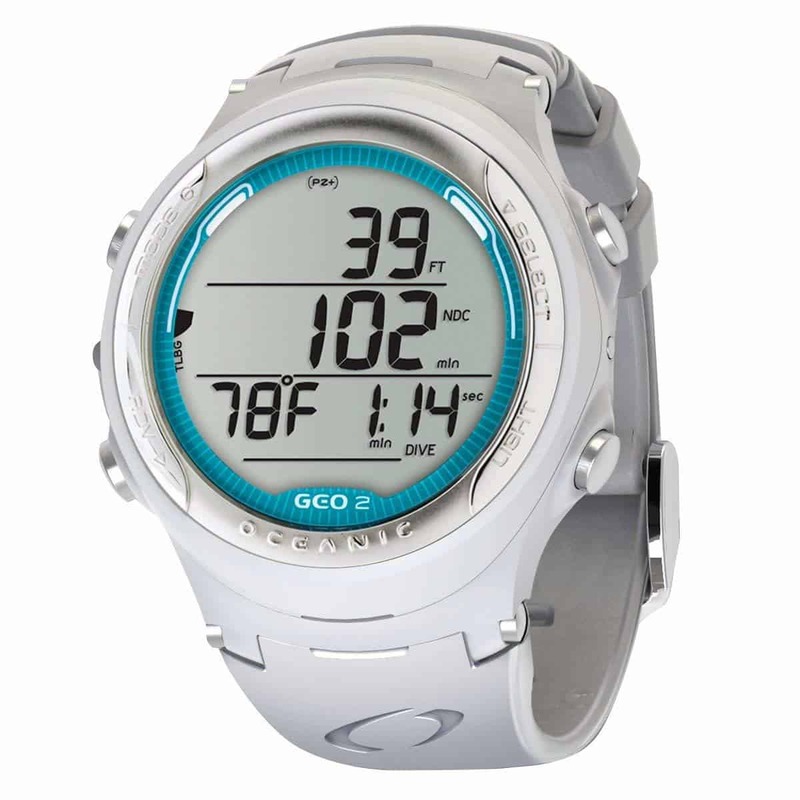 One of the most exciting things with the Oceanic Geo 2.0 is its user friendly interface. The computer watch offers Oceanic’s exclusive dual algorithm that allows divers to choose between Pelagic DSAT and Pelagic Z+. The dive computer offers 4 operating modes: WATCH, NORM, GAUGE, and FREE. FREE mode will even track calculations to allow switching between Free and NORM modes. The “Step Back” features allows divers to move forward and backwards through both menu and settings rather than having to cycle through all the modes to get to the previous one. Can only store up to 24 dives. Can be difficult for some to use. If you are looking for your first dive computer or something that you can use as a backup, look no further than the Mares Puck Pro Wrist Computer. One of the greatest things about this dive computer is its user friendly interface. The entire Mares Puck Pro Wrist Computer is controlled via a single button. The LCD is super bright and extremely clear making it easy to read even underwater. Divers will be happy to discover that the Mares Puck Pro Wrist Computer is a full function air/Nitrox dive computer with diver replaceable CR2450 batteries. 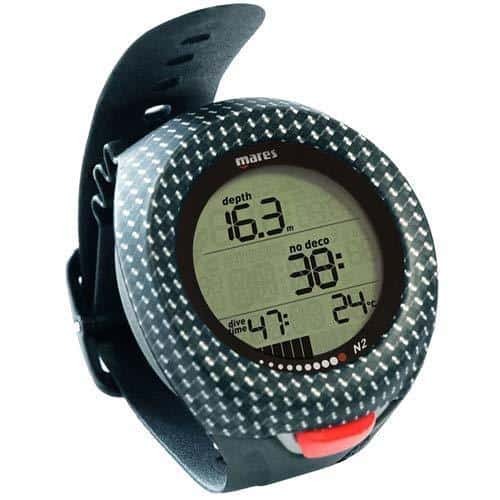 The wrist computer offers a dive log that is good for up to 50 dives or up to 36 hours. Other features include an ascent rate indicator and Nitrox programmability. The Mares Puck Pro also offers upgradeable firmware allowing it to work and function properly for years to come. If you are looking for the best dive computer for free diving or recreational diving, take a look at the Suunto D4i Novo. 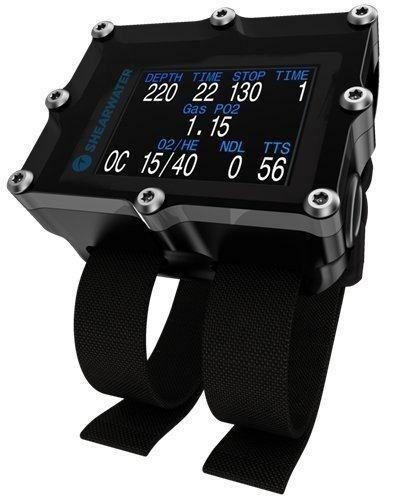 This light weight dive computer is worn on the wrist and is ideal for every type of diving. The Suunto D4i Novo has been redesigned from previous models and is now available in a number of different colors. The silicone strap is preferred by many divers as it allows for a comfortable and precise fit. Even better is the dive computer can also be worn as a watch. The Suunto D4i Novo Dive Computer offers a wireless air integrated option that alerts you to your remaining air time on every dive. With the D4i Novo divers will find that the user interface is pretty straight forward and easy to use. The dive computer offers a full continuous decompression algorithm, along with four different diving modes. A built-in dive [planner allows you to keep detailed graphical logs and dive data collected on each of your dives. Other features include an apnea timer and a timer in both air and nitrox modes. Whether you are a new diver or an experienced diver the best dive computer is going to make all the difference on your next diving adventure. The best dive computer for you is not going to be the most expensive not will it be the ones with the most features. The best dive computer for you is really going to depend on your diving experience and what kind of diving you plan to do. Great list! Thanks so much for taking the time to put this together. I have wanted a new dive computer for a while now, and this list of best dive computers will certainly help me! Top 5 Stunning Places to Kayak Around the World. Copyright 2019 by Water Sports First. All rights reserved.